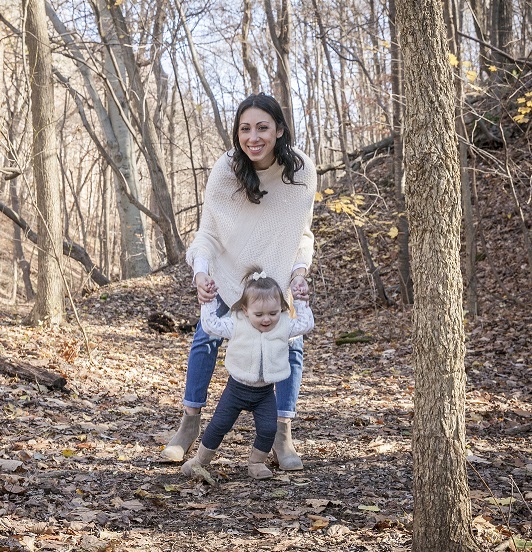 I want to remind my readers that my intention is not to make any other mother feel any type of guilt or shame, but only to share my own personal experience and perception openly and honestly. I’m sure many mothers can and do balance working full-time and home life easily; however, I am a neurotic, anxious, control freak and didn’t handle it well. Now on to the good stuff…. I have been home for a month now, and it has been one of the most enlightening and joyous times in my life and yet somehow slightly heartbreaking at the same time. My first Sunday night as an official stay at home mom was spent at the grocery store. Two, leisurely, therapeutic hours where I did not feel rushed or stressed and was not chasing a toddler all over Giant. I unhastily planned our meals for the week and even had the mental clarity to organize and use coupons! A HUGE win. I felt a monumental shift occur that night. See, when I was working I never wanted to do things alone on the weekends, not even grocery shop. I probably actually needed the alone time but couldn’t bring myself to enjoy it because it felt so selfish. I didn’t see my daughter all week, I wouldn’t leave her if I didn’t have to. So where I went, she went, and this included the grocery store. Also, not to mention, when you are an exclusively breastfeeding mother like I was/am, there is a true tethering to your baby. It is hard to leave a nursing baby when you are the sole food and comfort source to them. The bulk of childcare naturally falls on your shoulders (which I was dedicated to). This also kind of led to my husband taking over the cooking role in our family life. He cooked dinner while I spent the evenings with our daughter, which meant I really had not been in the kitchen much at all. So spending this time in the grocery store and taking pride and ownership in planning and shopping for the meals I would prepare for my family was significant. I felt the tension ease in my muscles and joints, and the metaphorical weight lift off of my shoulders. There was no reason to rush. I could spend as much time as I wanted to, because I had nowhere else to be the next day but at home with my little one. I spent the first week reuniting with a love for cooking, preparing gourmet homemade meals for my family, and taking pride and ownership in my home again. Yes, I know people tell mothers a thousand times to “let the housework go” after becoming a parent. But I clean my house for me. I feel at ease, and relaxed when I have a clean and organized home. I feel content and honestly more sane! It is the one thing I can control when everything else around me feels out of control. I have not enjoyed my home probably since I gave birth. Before, all I could ever see were the endless amount of chores that needed to be done, or the clothes piling up in the laundry that I had to somehow find time to do. But after settling in to my new role, I cleaned like no one has cleaned before and I felt at home again. Now to the best part, I want to start out by saying I’M IN LOVE AND I DON’T CARE WHO KNOWS IT!!!! That’s right; I am currently falling in love. I am talking head over heels smitten, butterfly feeling, can’t concentrate on anything else type of love. No, I am not cheating on my husband. But I am falling in love with him again as well as our 15 month old daughter we created. I am seeing him in a completely different light. Over this past year, I have perceived my husband as my daughter’s father who could never do enough to help me. I was constantly feeling overwhelmed, trying to keep my head a float to feel like a good employee, but more importantly a good mother. He was the only immediate support I had and no matter what he did, it was never enough. Being home and adapting to a slower pace of life has brought to light all of the things he DID do and DOES do. I am appreciating him for the first time in a long time. Over the holidays, I accompanied him to his company holiday party, and I was in awe at how much praise he was receiving from his peers. I realized I had not the vaguest idea of what was really going on in his life besides the one we had at home, which mostly consisted of me delegating tasks to him as soon as he walked in the door. I couldn’t remember the last time I even asked him how his new job was going, I mean really asked him. I was preoccupied with just making it through the work weeks without having a complete meltdown. I constantly felt like I was drowning, never catching up to what needed to be done. And because of this, I was always resenting him for what he didn’t or couldn’t do. But I suddenly started to see him how his peers saw him – as a distinguished, successful man, and oh my had I forgotten how attractive he was? I felt lucky to be his wife. The truth is, I am literally getting to know and reconnecting with my OWN family all over again. There is this memory that haunts me, though. It was a few weeks before my last day of work. I’m sitting at the computer at our dining room table, doing our budget or ordering some item we needed, when my daughter runs to me to be picked up. And I turn towards her, inside feeling irritated, but before I even had a chance to react, her smile fades and she retracts her arms as if she had made a mistake. She probably recognized the look in my eyes that said “I don’t want to be bothered right now”, one she has seen many times, that she reaches for me with hesitation. Not sure if I will react with frustration or warmth. My heart broke. Was she that accustomed to me rejecting her? The answer is most likely; yes. Our routine consisted of me purposefully trying not to let her see me in the morning dash before work, because I knew if she did she would want to be held and nursed. I didn’t do this because I didn’t want to hold her but I knew if I did I would be that much later to work. I am crying now as I type this, and I hope that these once normal occurrences in my household become faded distant memories for my own sake. But it is a heartbreaking reality that was once so normal. When I would describe my daughter to other people, I would say things like “NO, you don’t understand… my daughter is not your average child, she is a HANDFUL”. I remember when my sister-in-law was over one day towards the end of her second pregnancy, and she said for the first time ever she was excited to be around family because they would entertain her toddler and take some of the load off of her. She said she never felt that way before. I remember thinking to myself, I feel that way all the time. Is something wrong with me? Why did I always seem to feel like I needed a break? I justified to myself that it was because my child was more “difficult”. But now that the fog has cleared, I am seeing things more clearly. If I am heartbreakingly honest with myself, I have viewed my daughter as first and foremost a responsibility. She was this totally consuming thing in my life that I always felt I didn’t have enough time for. She was a distraction on weekends when I had to get the house clean before a new work week continued, or a nuisance or “handful” when we were out in public. I’m not saying that I didn’t feel that all-consuming love that a mother feels (I mean I wrote countless posts about the beauty of motherhood and they were all very authentic) or that I ALWAYS felt like this, but the resentful burden feeling I’m describing was a very real undercurrent to my life. However once the veil was lifted, I realized my “hard to manage”, “defiant” toddler was actually quite sweet (still wildly independent and strong willed but oh so sweet) and I’d even go as far to say slightly timid. Perception is powerful and maybe she was just manifesting the way I was perceiving her or maybe I was projecting my stress on to her. Or honestly maybe she still is all of those things and only my perception OF her has changed now that life has slowed. Yet I cannot fathom how I could have misunderstood my own child so much, and it is a heart wrenching thought that I lived and could have kept living in this fallacy. I have wasted so much time. However, the sanctity of motherhood will always find it’s way back to us. The other day I was standing in my kitchen while I was quietly watching my daughter play in the other room. I don’t know how long I was watching her before I realized my face was wet with tears. I just remember thinking how beautiful and innocent she looked as she adorably tried to feed her Minnie mouse a bunny graham. Something so ordinary seemed so beautiful to me. I had to pinch myself; Yes, this is your life.Yes, she is yours. I now spend my days with her taking in every nuance that I was not mentally present enough or too busy to notice before, and love boils over and spills out of my being, so much so that I sometimes have to catch my breath. It’s over the smallest things, like the way she curls her little feet around themselves when she is content (how have I never noticed that before? ), or the way she sticks her tongue out when she is concentrating (don’t I do the same thing?). It is these little facets of her personality that I was missing before that bring these tears. She sometimes finds me in the kitchen with so much joy on her face, like she has just found a diamond in the midst of coal, when it was only a few moments since she last saw me. In these moments I scoop her up and hold her to me and we will dance to whatever music I have playing and we will return to a familiar place, where no one can find a beginning or end to us. These moments feel so profound, that I can feel it physically in my soul. I think to myself… this, this little creature, is a physical embodiment of my love… she is quite literally, my heart incarnate. Just after being home with her for one month, without having to worry about lunches for the work week or clean pump supplies or milk in the freezer, I have found that I now resent everything else around me that is a distraction from her, which is a great contrast to my perception before. My whole life has completely transformed. My alarm clock is now a fuzzy headed grin and I am the one making my daughter breakfast and lunch every day. I enjoy cooking a nice meal for my husband who worked hard for us. I now greet him at the door with a smile rather than an order or directive. I was so worried about being bored and imagined my days in pajamas zoning out to horrible Lifetime movies but I couldn’t have been more wrong. Between cooking, laundry and diaper changes I’m actually quite busy! Friends have been coming out of the woodwork; I am reconnecting with old friends while meeting new friends. I have met three fabulous like-minded mamas in a breastfeeding counselor course I took in the fall who I am excited to get know more and become more involved in the organization with. I have discovered great resources, like our fabulous hidden gem of a library! My days have been enjoyably full. And when they’re not, the peace is welcomed. But most of all, my relationship with my daughter has changed. The bond that took me so long to build in those early weeks, that I left way too soon, has been reforming and it has been enchantingly mesmerizing. I am finding I have way more patience than I once had with her and am starting to enjoy the things I once found stressful (I avoided sit down restaurants like the plague). I am also learning how to parent and set boundaries while still fostering her wildly independent nature. I know that probably sounds strange, but it’s true. Someone was mostly doing this work for me before. The two hours after work between dinner and bedtime and car trips and outings on weekends didn’t leave much room for anything but coping and “managing”. Lately, I rarely perceive my daughter as “unmanageable”. She is sweet and loving and playful. I can only see now in hindsight how tragically disconnected we were before. I get what my sister-in-law meant that day. I read a book once titled proof of heaven which depicts a neurosurgeon’s near death experience. He describes heaven as simply; love. The same feeling that you feel when you look at your children or even a pet. Simple but so profound. Who would ever want a break from heaven? This is what life is about. Joy. Brimming over with love that it suffocates you, joy. This great ineffable thing. I could sit and think about this past year with regret and guilt, but you know what? Look at how I now get to spend my days; standing in my kitchen watching my little girl play, while tears of joy stream down my face. This entry was posted in attachment parenting, instinctual parenting, Motherhood, mothering, My Journey, parenting, Parenting Philosophy, SAHM, stay-at-home-moms. So happy your finally getting to be a SAHM. I can totally relate to saying how awful palmer was some days when in reality I was just trying to get my stuff done and she was feeling ignored. They really are only this small for so long and it’s gone 🙁 I can’t wait to see how your life continues to change! Somedays will be filled with tears not from joy so remember these feelings now and always keep some wine in the house. Lol yes I thought it would be smart to write the happy post now before the novelty wears off! At least we have each other to vent to! Love you! Tara! This post is absolutely beautiful… so raw and heartfelt, period. I have tears in my eyes just reading it. I am so overwhelming happy for you and that this is what you have chosen. Life is such a beautiful gift and you are living every moment of it like it’s meant to be! Absolutely beautiful…. What an awesome post! Reading it has reminded me to slow down and enjoy every second… it won’t last forever and that is what makes me cry!